Oscar-®Winning Producer Brings Webcomic to Dark Horse; Miniseries To Follow! Aron Warner won an Academy Award® as producer of Shrek. 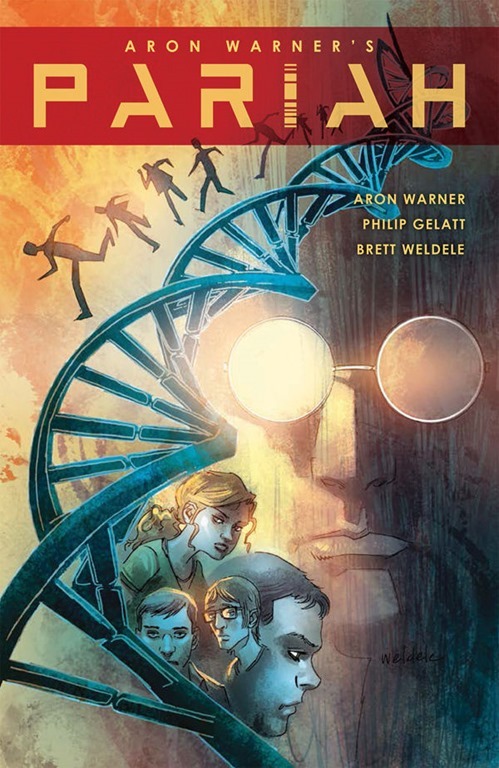 Today, Dark Horse has released a collection of his webcomic – co-written with Philip Gelatt and drawn by Brett Weldele – Pariah: Volume 1. It’s the story of a group of genetically engineered supergenius teens – called vitrios; and their exile to a decrepit satellite orbiting Earth, and their banding together to use their abilities to get home. Following the web-to-print release of Pariah: Volume 1, an eight-issue miniseries will be released beginning next month. For more, check out the press release following the jump.